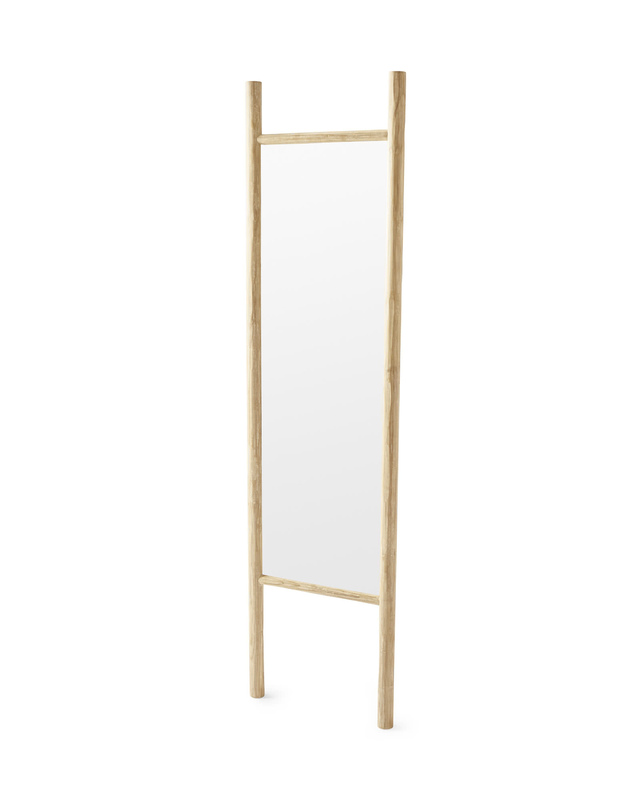 Teak Ladder MirrorTeak Ladder Mirror, alt="Teak Ladder Mirror, "
Print A great idea for almost any room in the house. The tall, narrow shape creates a sense of height in rooms where the ceilings are less than cathedral – and the mirror makes it practical, as well beautiful. Made of harvested teak branches that would normally go unused, this gets extra points for minimizing waste. Handcarved teak with a whitewash finish.